At Physiofusion, we have a lot of experience in treating riders – whether it’s fine tuning balance and posture with a course of our Alexander Technique sessions, strengthening the core with Clinical Pilates classes, or a rehabilitation program with one of our Physiotherapists. Whatever the issue, we’re here to help you get back in the yard and back in the saddle, riding again. Hours are spent improving our horses’ performance, strength, balance, and suppleness so that we can achieve perfect harmony when it comes to competition day. However, it is important not to forget about your own suppleness, strength and balance. Generally, riders are a pretty robust bunch – getting barged out the way, legs and hands trapped in gates, bending over and lifting to muck out the stables…and that’s even before we get to the falling off! Here are some tips to for common injuries and problems that riders often suffer from. Shoulder and upper back pain – Upper back and shoulder blade muscles are often forgotten about when working on strengthening muscles. Try half press ups or ‘fly’ exercises with light weights. Pelvic issues – not supple enough or feeling crooked? Do you sit on your seat bones with 50% weight on each side? If not, you may have pelvic malalignment and they often don’t correct themselves – the horse might not be crooked, you might be! So get your pelvic alignment looked at. Not carrying your head on top of your shoulders – Work on this by sitting on a gym ball – it helps you stack up each body piece on top of one another creating a balanced upper body. Think of it like a stack of cards of plates, if one or two aren’t straight, it will affect those above. Muscles soreness – Stay hydrated! Hydration is key to help the body remove the exercise based chemicals such as lactic acid. Knee pain – Stretch out your knees regularly and especially when they are feeling sore or stiff! Hip soreness – Same as the knees – move your hips regularly so they don’t become stiff and sore. Lower back issues – usually caused by leaning forward or to one side. Core strength is what’s needed! You can do this through core workouts and Pilates. Unstable lower leg – Wall side squats can help with this. Double leg to begin with and then move on to single leg squats when you get better. 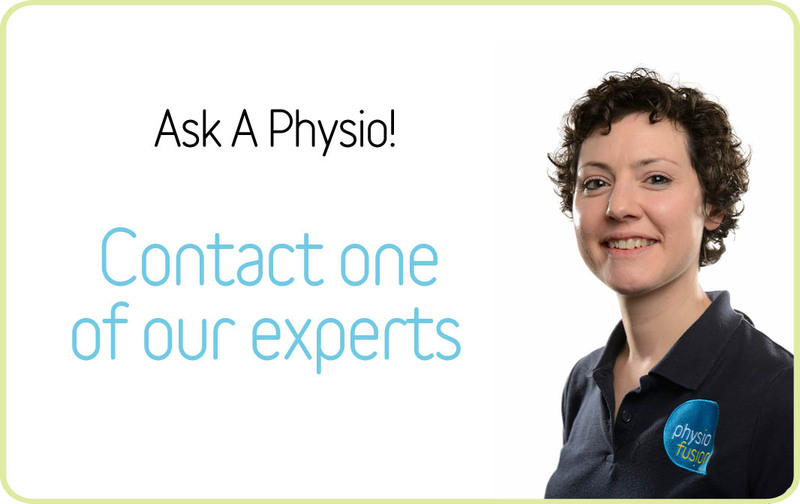 OR, if you prefer, call us at any of our clinics on 01282 453 110 where we’d be happy to help!